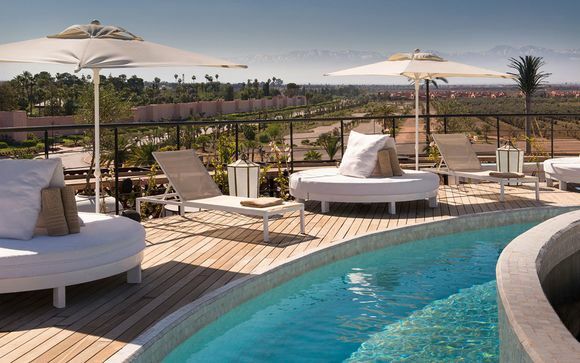 Indulge in a short break to magical Marrakech up to -70% off To take advantage of these offers, join now for free! 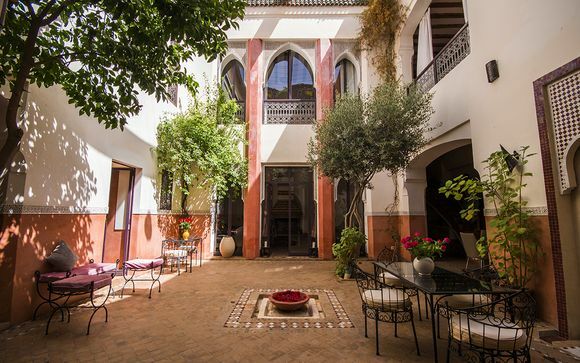 Morocco has long been a place dripping in glamour, romance and mysticism. Providing the backdrop for cult movies like Only Lovers Left Alive and Casablanca, it's a top destination for people who want a little bit of something different in terms of decadence and vibrancy. 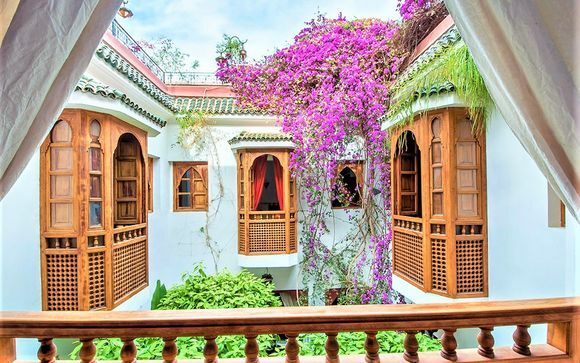 From the buzz of the central old fortified Medina to the tranquility of Majorelle Gardens - botanical gardens featuring distinctive blue buildings, built by the art nouveau artist Jacques Majorelle - every part of the city is a treat for the senses. If you've only got a couple of days, here's the creme de la creme of what the city has to offer - so you can make the most of your time there. Get out of the scorching sun and take in the sights, sounds and smells of the Medina at night. Enjoy street entertainment from fire jugglers, musicians and snakes charmers, as well as traditional Moroccan street food from the plethora of stalls. It's the top destination for locals, who stroll around the cafes and ice cream parlours. And if you fancy picking up traditional Moroccan objet d'art or souvenir, this is the place to be, so sharpen those haggling skills. As Marrakech's most photographed landmark, the mosque dominates the skyline. The structure boasts a 77 metre tall minaret and architecture that is quintessentially Arabic, with curved windows, ceramic inlay, pointed merlons and decorative arches, as well as a large plaza and gardens. The whole building is floodlit at night, providing plenty of Instagram moments. Just remember that non-Muslims are not allowed to venture inside the mosque; you'll just have to marvel at the red stone minaret from the outside instead. Walk around the ruins of 16th century palace built by Sultan Ahmad al-Mansur. 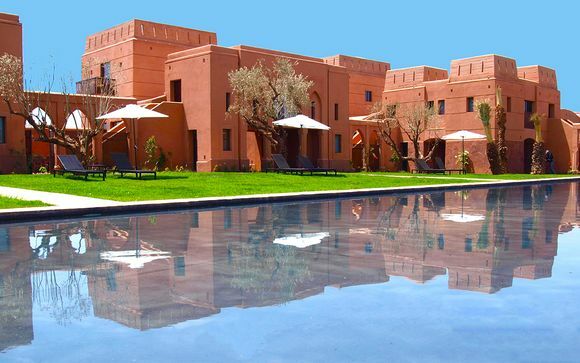 The original building consisted of 360 lavish rooms, a courtyard and a pool. Not to be outdone by contemporaries across the Arab world and Europe, the sultan built his palace using the most expensive materials at the time, including gold and onyx. It's rumoured that Italian merchants exchanged the equivalent weight of the marble used in the colonnades for sugar. So you'll have a sweet time wandering around the haunting red-stone building. 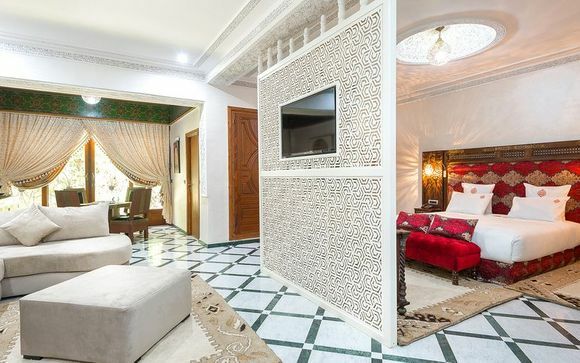 Luxury accommodation abounds in the Moroccan city - and we should know, we only deal in the very best 4 and 5 star hotels! 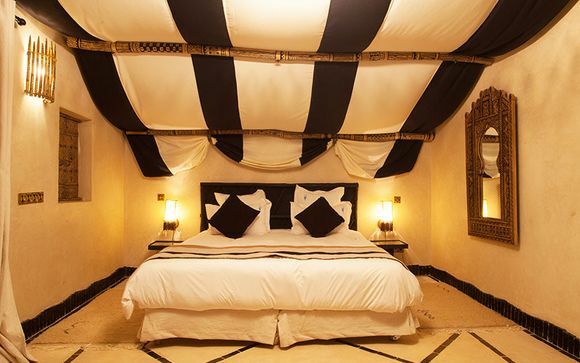 The Fellah Hotel", just outside of the city limits, is a perfect example of a decadent retreat set amid stunning climes. 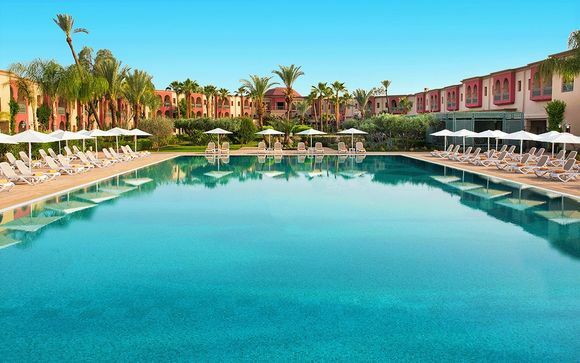 If you'd like to stay a little more central, Les Deux Tours is located just minutes away from the Medina and offers easy access to a landscaped park and a pool villa. 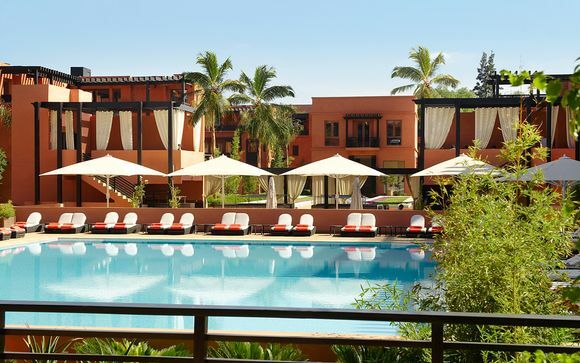 To take advantage of up to 70% off short breaks in Marrakech, sign up to the site today - our offers are available to members only, so don't miss out!